PUMA and HAN Kjøbenhavn return with a striking collection on 2 May which combines premium handcrafted aesthetics with retro sportswear vibes. Playing with white tones, transparent textures, and vintage materials, Creative Director Jannik Davidsen gives progressive styles a hand-crafted analogue feel with random stitching and raw edges. Key footwear style the CELL Venom HAN (R2 599)features the bold chunky sole with translucent rear pod fitted with CELL cushioning technology and a breathable mesh upper paired with vintage suede and shiny silver leather overlays. The RS-X HAN is decked with contrast overlays, reflective trims and neon details. The apparel showcases design elements from past season collections – faded graphics in bright vintage colours, striped fabrics with burn out effects and 80’s hues. From PUMA x HAN Crew (R2 299) in French Terry to PUMA x HAN Half Zip sweatshirt (R2 999) and PUMA x HAN Track Pants (R2 999) in woven fabric, the entire range continues to channel sport-inspired retro vibes. 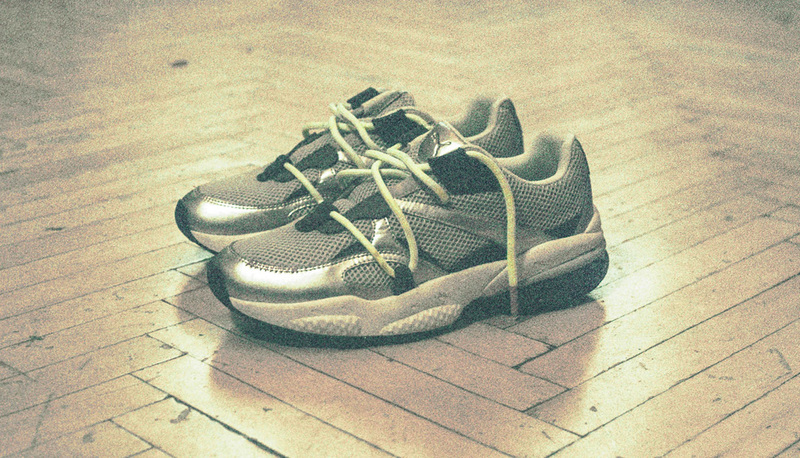 The PUMA x HAN collection will be available at PUMA SELECT stores, X-Trend, Superbalist, Madaiza and selected retailers from 2 May 2019.